Madrid was a dream come true. At the first of the year, I made a promise to myself to go to Europe this year. More specifically, to Italy. I had planned to go with a friend for my birthday in August, but unfortunately those plans fell through rather last minute. So I celebrated my birthday in Chicago, whilst realizing the only reason I wasn’t in Italy was because I didn’t let myself. Fear of traveling alone, fear of the unknown, all stupid reasons! I realized I wouldn’t do half the things I wanted to do if I kept waiting for permission. So when the opportunity presented itself at work to go to Madrid for a conference, I made it happen. Thanks to my great persuasion skills and well, just being good at my job. Last minute, I made all the arrangements and planned a trip, Madrid for work and play; and then Barcelona, for what I was hoping would be the time of my life. I spent seven glorious days in gorgeous romantic Madrid, fell in love with the streets, the food, the people as I wandered about by myself. I knew I had to take some professional photos for the blog in some of the outfits I brought with me. So I did! 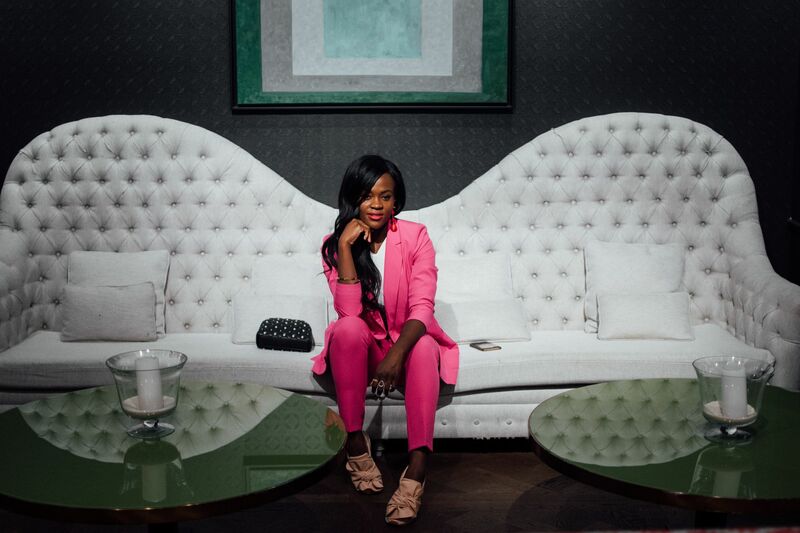 If you know anything about my style, you must know I absolutely adore a tailored look, and what is more tailored than a suit. 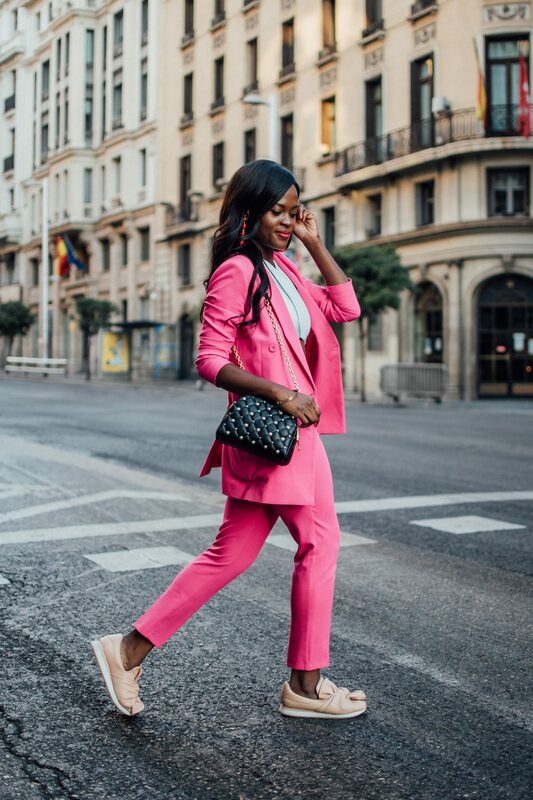 This pink suit felt fashion forward and perfect for my work conference and then for shopping at the shops on Gran Via. Paired with a crop top and sneakers, they lent the outfit some laid back casual vibes for my wanderings. 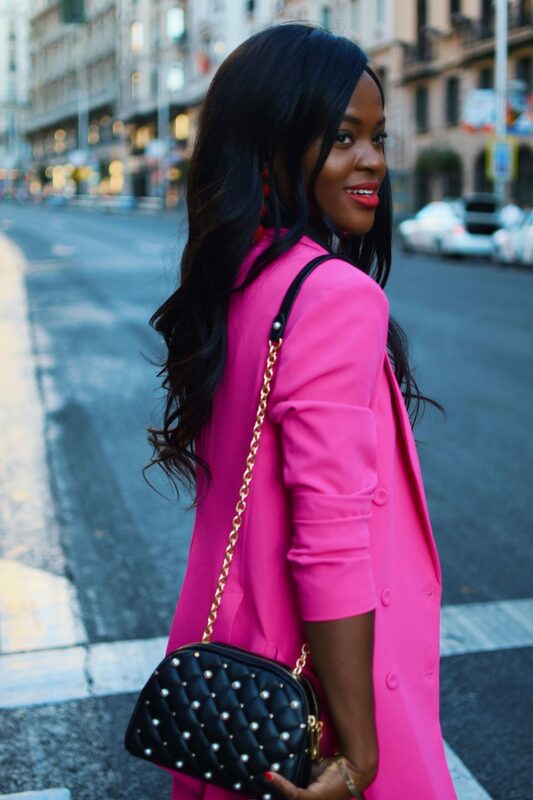 I was even more delighted to see lots of pink on the runways of NYFW and the streets of New York! 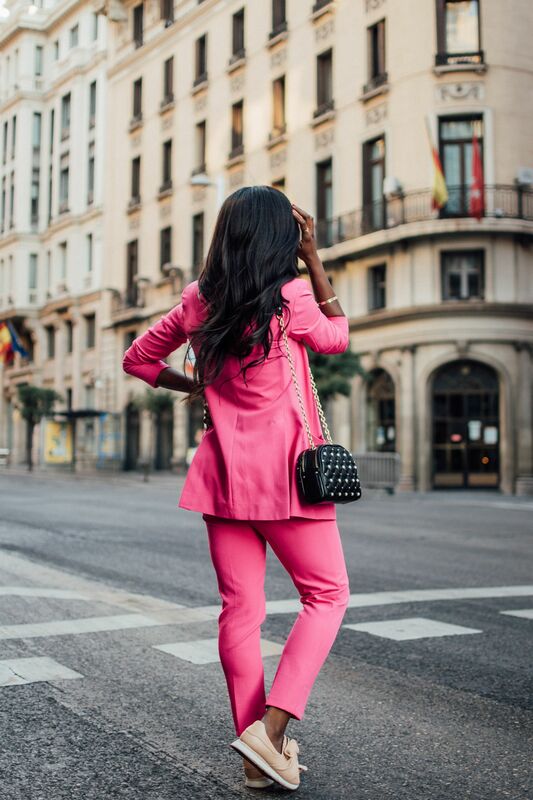 Would you wear a pink suit? 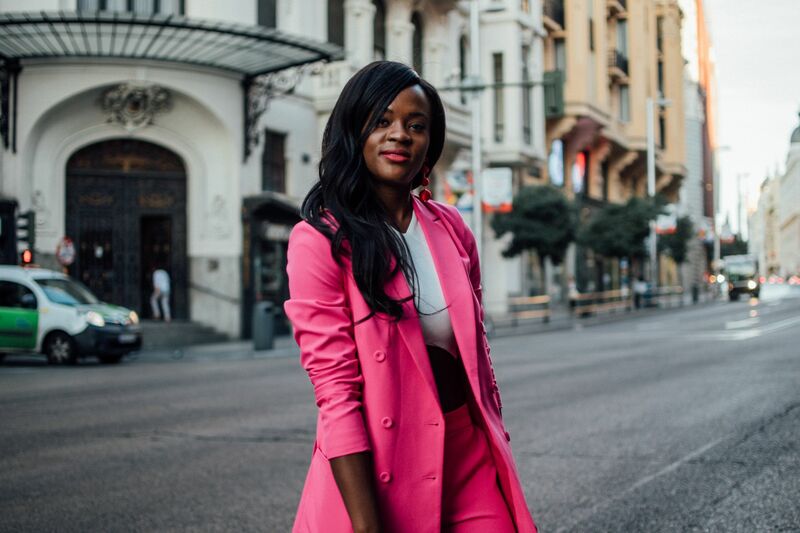 Stay tuned, I will be sharing so much more from my trip to Madrid and Barcelona!